The theme of this issue of Les Nouvelles Esthetiques Spa Magazine is Natural and Organic and Spa Therapies. “No matter what you think about the connections between personal and planetary vitality, at a core level, sustainability in spas just makes sense. 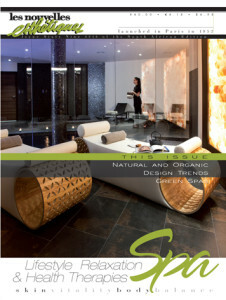 For many spas the basic idea that everything is interconnected is already woven into the fabric of their brand through references to “holistic” treatments or statements like “for the betterment of body, mind and spirit.” Many clients seek out spa experiences to settle what feels out of balance in their bodies and find that their emotional, psychological and even spiritual “selves” benefit too.” As stated by Paul Schmidt is the Executive Director for the Green Spa Network. 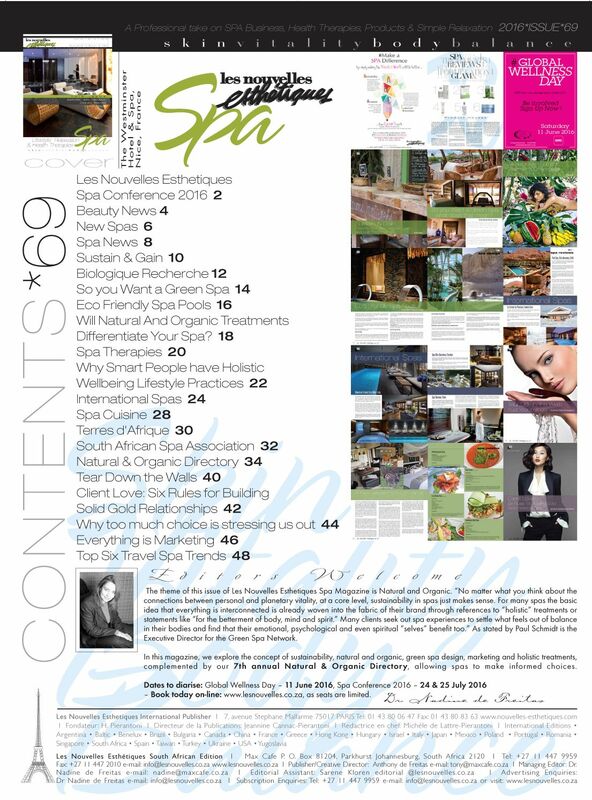 In this magazine, we explore the concept of sustainability, natural and organic, green spa design, marketing and holistic treatments, complemented by our 7th annual Natural & Organic Directory, allowing spas to make informed choices.